CFsites is a simple, free way to create a website for a non-profit or other good cause. Within minutes, you can create a website with a custom look and have it live on the Internet. If you have any questions, please check out our list of frequently asked questions! 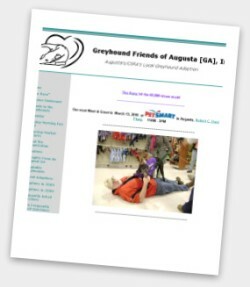 "CFSites has provided our website free of charge, which allows us to use our donations and grants to help more greyhounds to find homes. Our website looks very professional, thanks to the formats provided by CFSites. Our website does not take a long time to update/edit; in fact, it is exceptionally easy to update and edit when needed. Thank you CFSites!" 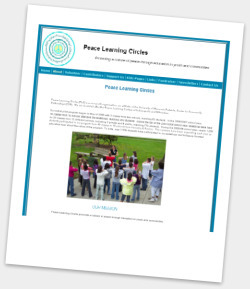 "As a new nonprofit with limited resources, Peace Learning Circles has been able to put what money we do have into direct programming for the children in our communities. If we had to pay for the service we receive, I cringe when I think of the number of children that we would have turned away. 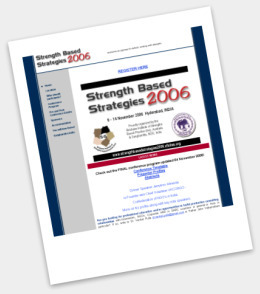 We started with 3 classes and about 90 participants during the 2006 school year. This year, we have 75 classes participating - nearly 5000 students since we started. 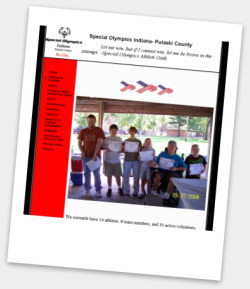 Awareness through the website has been a vital part of our success." "Rerun was setup to help disadvantaged people to gain access to furniture and domestic appliances. By using CFSites to produce our website and to publish it on the web it has not only given us a cost effective way to have a website, something which we'd not had previously, but also a way of providing instant access to information about the charity and a way to email us with requests and furniture donations. We average on 2 requests for collection a week and we believe these are donations we'd not have got otherwise." "I use CFSites.org for my personal website for Relay For Life of Selinsgrove. I put important information on the site and have the CFSite linked to the ACS/Relayforlife Site and people use both sites to learn about the American Cancer Society. I love CFSites as it is very well laid out and easy for a non-experienced person to make something wonderful and have it work so great and help out so many people." "Schools Without Walls is a nonformal education system where there is no teacher. We are located in remote village in India, but with help of CFSites we have reached globally. We were offered help by few web designers to develop free website for us. But that was not what we were looking for, as we would have never updated the site frequently like we do today. CFSite is very user friendly, our students, from various orphan centers who had never touched a computer previously, update it very easily." It's all free and all for a good cause.